Former Man United defender Rio Ferdinand believes Jose Mourinho has finally managed to integrate Paul Pogba into Man United’s midfield. So far, the Frenchman has appeared in 23 games across all competitions and has managed to find the back of the net on five occasions. However, he’s had a tumultuous start to his life back in the Premier League, but Ferdinand is convinced that Man United boss has struck a winning strategy by combining Paul Pogba with Michael Carrick and Ander Herrera in the middle of the pitch. “I do not think Jose knew his best team for a while but in the last few games you have seen him constantly starting the three midfielders of Herrara, Carrick and Pogba,” said the 36-year-old former defender. At Juventus, Pogba enjoyed the company of midfield maestros like Pirlo, Vidal, Marchisio and others that all played a vital role in his ascension to superstar status, despite the fact that his form has suffered since his switch to Old Trafford in the summer. He would have been a massive talent even without the presence of the star-studded midfield in the Old Lady’s dressing room, but it’s safe to say certain players gave him that little bit extra that has developed him into the world’s most expensive player. Man United will take on Sunderland at Old Trafford on Boxing Day, and a victory could potentially see them be on level on points with Tottenham at 33, if the former somehow blunders and losses against Southampton on the road. At the moment, Jose Mourinho’s men have recorded only three victories at Old Trafford, while the other encounters at home ended in four draws and even one loss. The good news is that over the last three Premier League games, Man United seem to have rediscovered their form, as they’ve clinched two victories on the road and one at home. 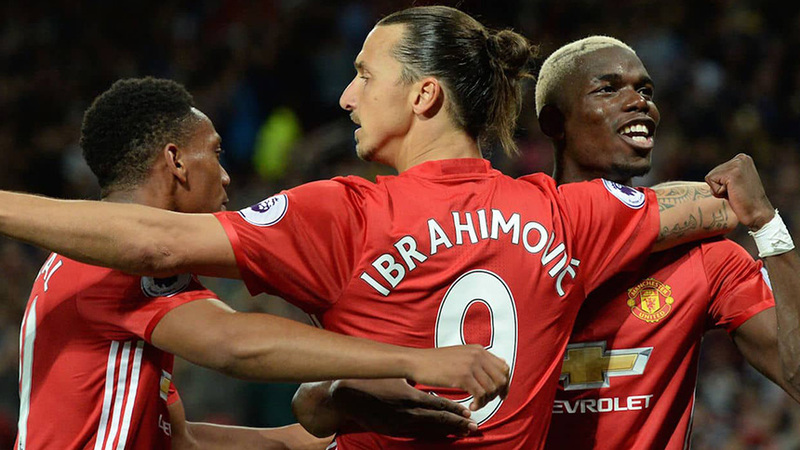 On top of that, their main goalscoring threat Zlatan Ibrahimovic has defied odds and proved his critics wrong after already bagging 11 goals in 16 appearances in the English top flight (overall 16 goals – as of December 23, 2016). His teamwork with Paul Pogba could prove instrumental as Man United target a path back to glory. After 17 rounds in the Premier League, there’s a significant gap between Man United – who are in sixth spot with 30 points – and league leaders Chelsea – 43 points – which immediately takes away any title hopes for the former. The Special One himself has poured cold water on the notion that his side are in the title race, considering the great disparity between his former side and Man United. Bet on the Premier League Outright Winner this season with Bet365 Sports! Chelsea are the favourites at the moment to win the league outright 4/6 (1.66), while Man City are right behind them on the odds chart 5/1 (6.00). Liverpool are third favourites 11/2 (6.50) and Arsenal are fourth on the list 10/1 (11.00), while Man United have been dealt underdog chances 20/1 (21.00) for sealing their first title since 2013.